Spelling. Are you looking for Pluxus? Fluxus is a musical group. albums: "Pura lana vergine", "Non esistere"
Fluxus is a record label. 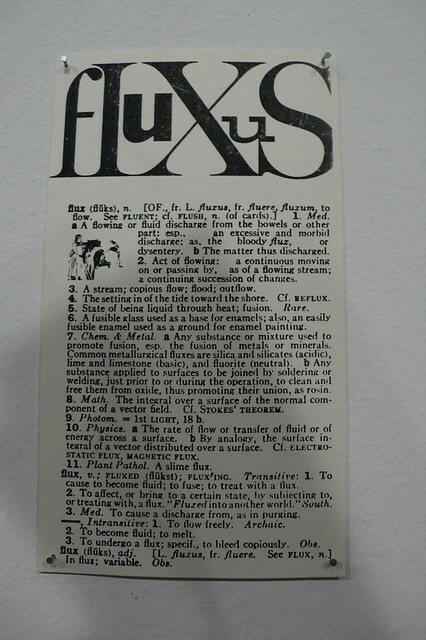 Fluxus: Fluxus—a name taken from a Latin word meaning "flow, flux"; "flowing, fluid" —is an international network of artists, composers and designers noted for blending different artistic media and disciplines in the 1960s. They have been active in Neo-Dada noise music and visual art as well as literature, urban planning, architecture, and design. Fluxus is sometimes described as intermedia. Fluxus is the annual Techno-cultural festival of Indian Institute of Technology Indore. 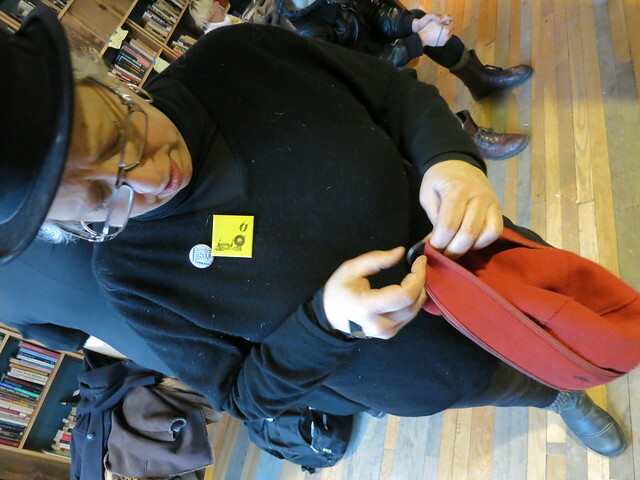 Fluxus is 3-day event and generally held in the month of February. Started in 2011, Fluxus now in its 5th edition, has become the largest college festival of Central-India. Fluxus is a college festival managed entirely by the students of IIT Indore. Fluxus is a live coding environment for 3D graphics, music and games. It uses the programming language Racket to work with a games engine with built-in 3D graphics, physics simulation and sound synthesis. All programming is done on-the-fly, where the code editor appears on top of the graphics that the code is generating. It is an important reference for research and practice in exploratory programming, pedagogy, live performance and games programming. Fluxus serosus. Or t h o p n o e a. Impedita respiratio. O s c e d o. Oscitatio. O s c h e o c e l e. Hernia scrotalis. O SCIT A TIO. Germ. Gähnen. ABelg. Geeuwing. Dan. Go to the usage examples of Fluxus to see it in context!